When I was younger, I enjoyed playing with cut-out paper dolls. It was always an adventure to dress them up in a variety of fun and fashionable outfits. Now we have sticker fashion paper dolls, but the idea is the same. Our two collections span the early 20th century. 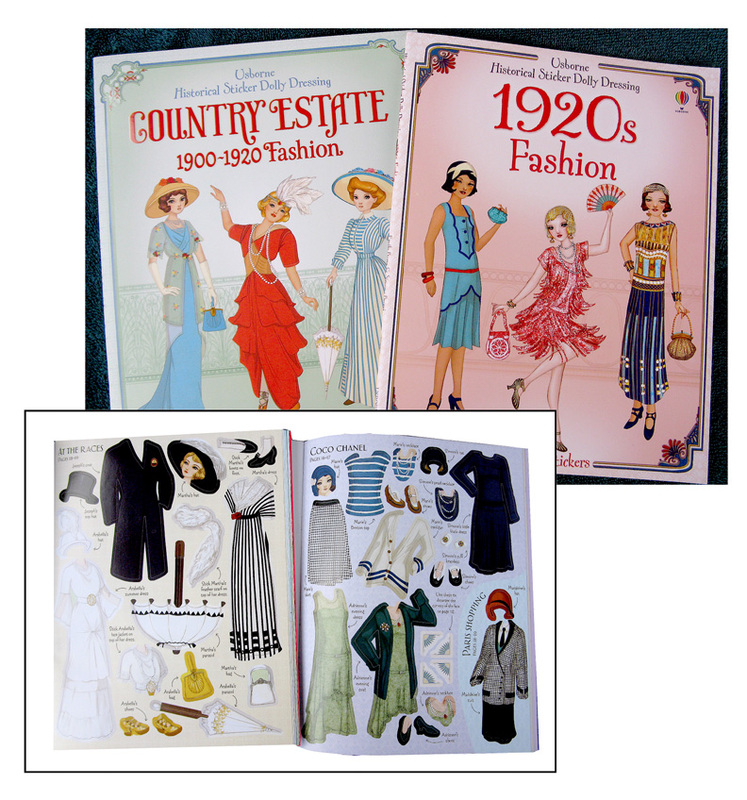 1920’s Fashion (24 pages, 200 stickers) is just that, ranging from jazz club Flapper attire to outfits for an ocean cruise, afternoon tea and a Paris shopping trip. Both have lengthy captions with period ads and information on designers. You’re sure to have hours of fun.